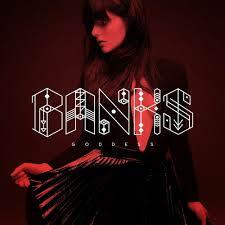 No other female vocalist this year dug under my skin as deep as Banks. I’m sure I’m at odds with many, but I’ll stand by my choice to side with her sharp and piercing wit. I don’t think I could ever explain to anyone why Banks cuts into my soul so clean, nor should I ever have to. I’ve been waiting very patiently for the release of Goddess since I first heard the downtempo Warm Water (Snakehips Remix), and I must say her voice stuck out like vein of gold in the up and coming music landscape. After showing so much potential with a handful of other singles, there is little disappointment to be had in the way her debut came out. If dark and brooding electro beats with the voice of a goddess singing along appeal to you, then why not give Banks a try? Well, sometimes you come across a super somber piano track, but all the better right? Banks certainly does not hold anything back on Goddess as she rips into the many people that have attempted to screw her over in the past. It’s strange how much you want to root for this girl to find a way out of it all, as she is obviously lost in a dark place. Somehow, though, I doubt she’ll be trapped much longer, because she has unknowingly exposed to us just how strong she really can be. I sincerely believe that triumph is coming for Banks and 2015 will most likely be the determining factor in that. Categories: 2014, Best Albums of 2014 | Tags: American, Banks, best of 2014, Electro, Goddess, Music, Pop | Permalink.